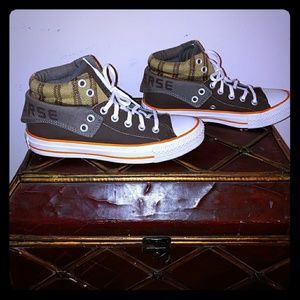 Converse shoes are one of the world's most recognized, iconic sneakers of all time. 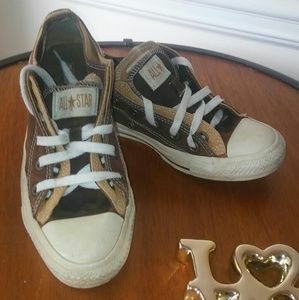 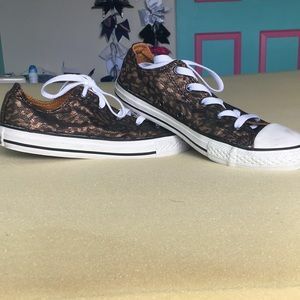 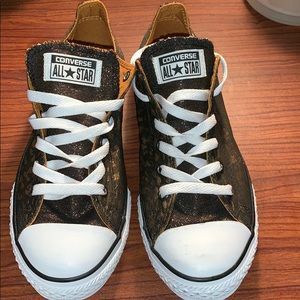 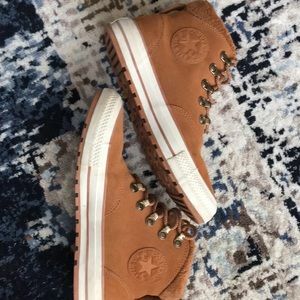 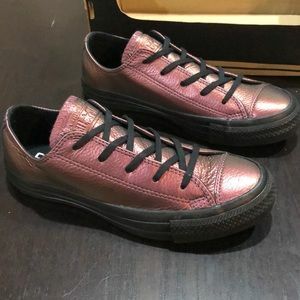 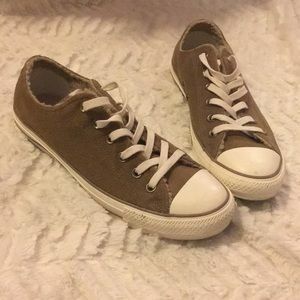 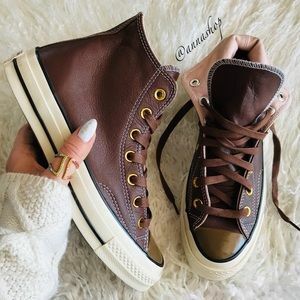 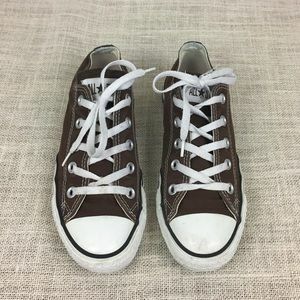 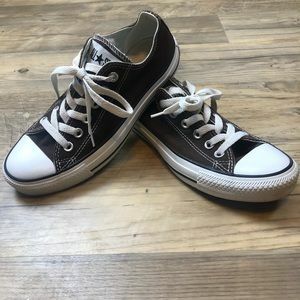 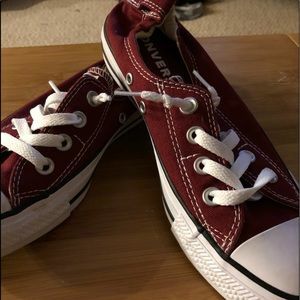 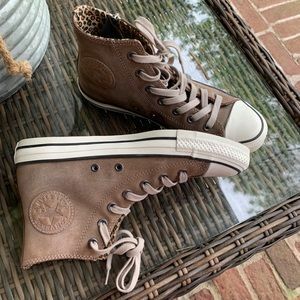 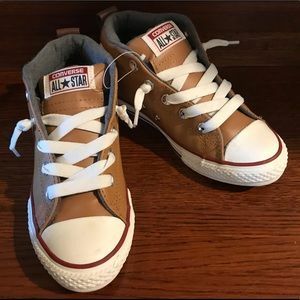 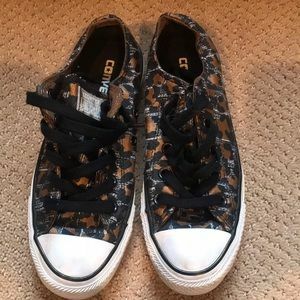 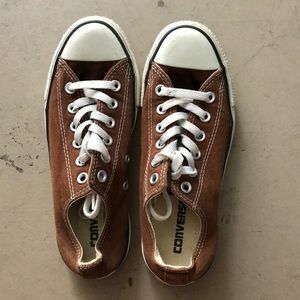 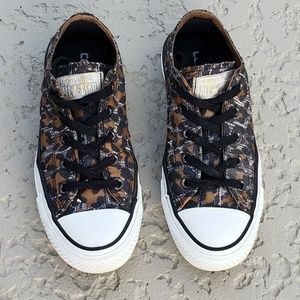 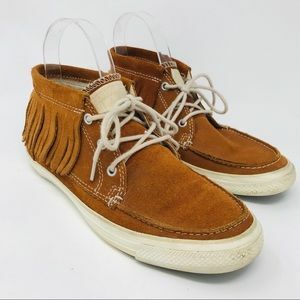 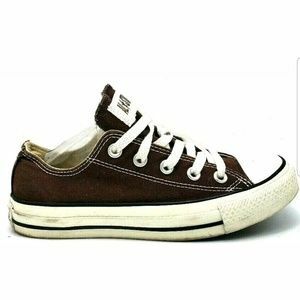 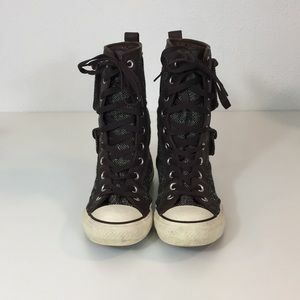 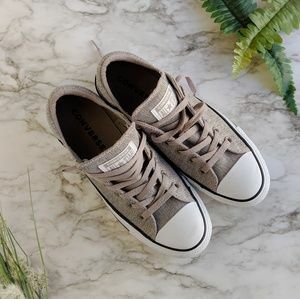 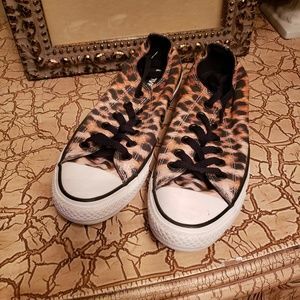 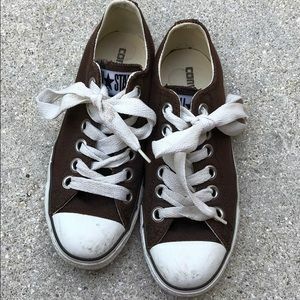 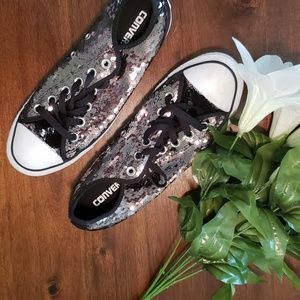 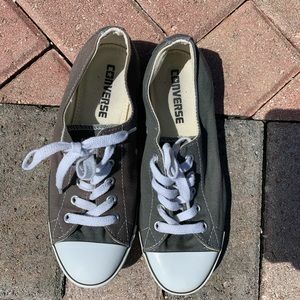 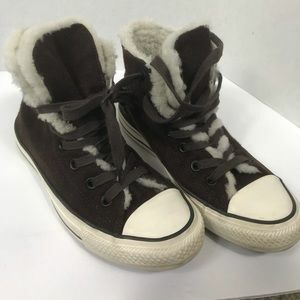 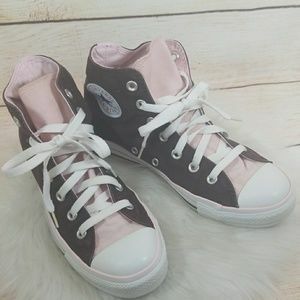 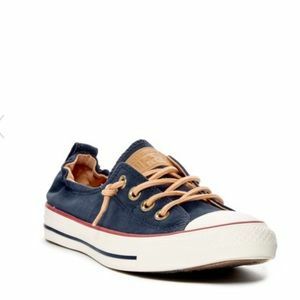 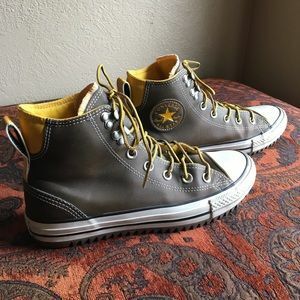 You may recognize the label for its All Star sneakers, but Converse also offers an extensive line of footwear in many different shapes, sizes, materials, and colors. 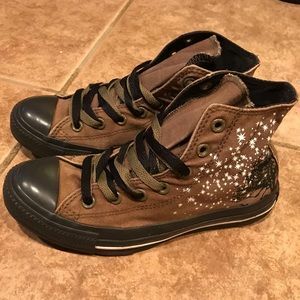 They are available for men, women, and children. 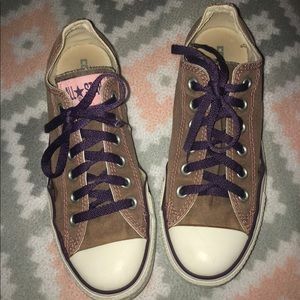 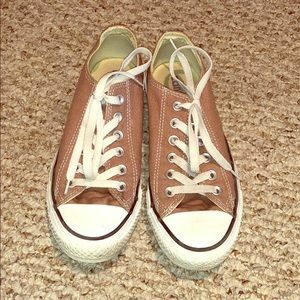 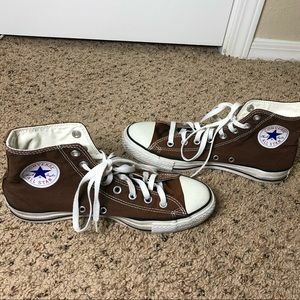 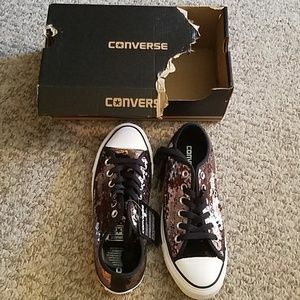 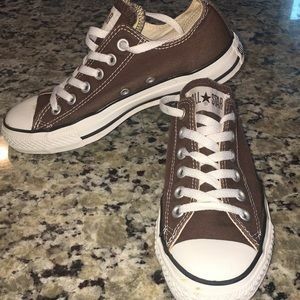 BRAND NEW never worn brown converse!